It's time for Donna's Personal Photo Challenge. This month our assignment was to explore the world of textures. I've seen some lovely photos altered with textures and thought it was a complicated process. But it's not! I had fun using BeFunky, a free photo editing program to play with textures in these photos. Above are the original images I used. The rose photo was taken this week with my Nikon, the other two in 2009 with my Olympus point and shoot. For the rose photo above, I cropped the original photo, adjusted the light and contrast, then went into BeFunky and added a fabric texture, then scratches to give the suggestion of an old painting or photo. 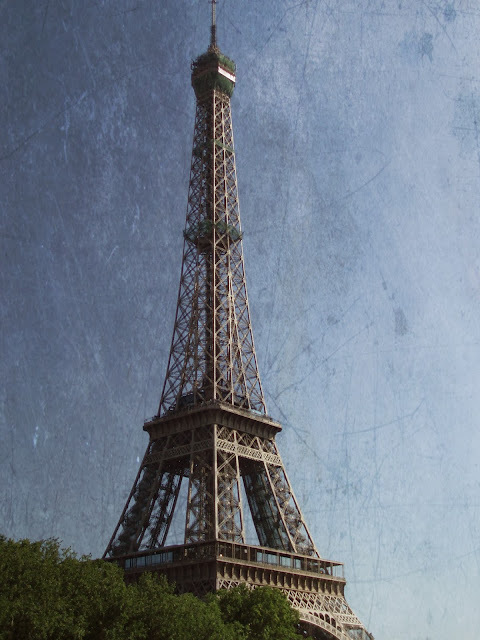 Then I went way back in my photo archives and treated this photo of the Eiffel Tower to a grunge texture. I like the moodiness of the resulting image. For my last photo, I also used an Eiffel Tower image, this one with a brick image. When I saw it I thought of all kinds of things to say about it - "weird" was one of them. But it's also a bit of a play on how the Eiffel Tower is certainly a "gold brick" for France, bringing in thousands of tourist Euros. Then I looked at the brick wall behind the structure and thought that the image could be a miniature Eiffel Tower set against another building. Or perhaps the brick wall symbolizes the building of walls between cultures (which happens all over the world.) Then I decided to stop thinking. Do you play with textures? There are some wonderful examples out on the web. Check out The Art of Life - her images really speak to me. And certainly check out the participants in Donna's challenge - the links are found here. I have not played with texture...yet. I like all the textures you used Lorrie, and the effects you achieved with them. Loved them All but especially, the rose! Lovely!! You did a wonderful job, and I can tell that you had fun playing! See, it's not hard at all, and the technique opens up a lot of artistic possibilities! 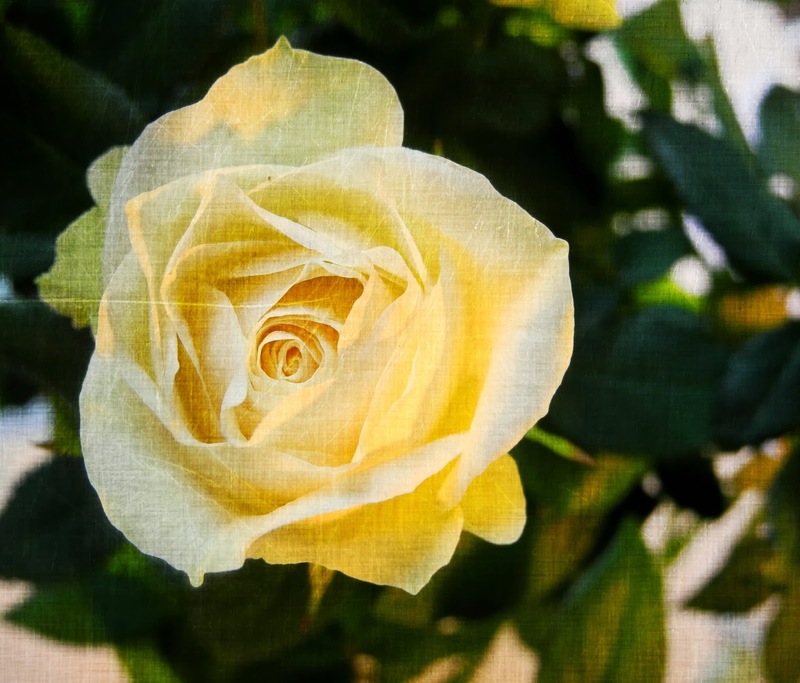 A fabric texture really enhances a flower photo like your rose. Very painterly! And I really like the grungy applications for the two tower photos. Grunge textures are always a good choice for any kind of buildings. Lorrie, I think that your texture explorations are extremely well done. I especially like the last which shows such a small portion of such an immense structure. i think sometimes focusing on the smaller picture rather than the entire view results in a great photograph. This would be a lovely cover for a journal. It's just me again, I had to take another look and realized this would also make a wonderful piece of framed art. My daughter would love this on a stretched canvas for her condo. What fun.... your experiments look wonderful. Especially taken with... mmmm.... all three! Well, actually if I had to choose I'd pick the yellow rose...no wait... I'd pick the second Eiffel Tower -- I love the grays against those blues. I love that scratchy, old photo look and will try that! You chose such wonderful photos for this challenge. Great job! Love the partial shot of the Tour d'Eiffel..........you made it appear as gold-plated next to the aqua 'wall' with a splash of cobalt, beautiful Lorrie. Have to agree with Ms. Sheila - would be a wonderful framed print, or copied as a canvas print. Rose is pretty too...............I just picked another late yellow one today - and it's huge! I'll enjoy indoors on my kitchen window sill over the weekend. Great pics Lorrie - you nailed texture! Oh Lorrie! You made me laugh with your "stop thinking" comment. I like reading your "thinkings" and I really liked seeing what you did. Each one is delightful. Great textures Lorrie. I really love the yellow rose and the Eiffel Tower ones are well done. You did a good job on these. I think when we stop (over) thinking we open doors! Super nice!! I love the rose especially. Very nice. The second one is my favorite...something about the way the blue interacts with the texture...like the 'feel' of it. Great job! These are all beautiful, Lorrie! I especially love the middle one with the brooding sky behind the Eiffel Tower. Lovely. These look great ! I need to get mine posted as well. All your shots are very well done! The yellow rose looks like linen. Love it. A gorgeous close up of the iconic Tour Eiffel. Your layering has given her a golden look - very romantic! The linen yellow rose is exquisite - I would love to pluck it and wear it on my lapel!! Oh my goodness, three blogs in a row playing with texture. Maybe I need to check out Donna's challenge and play along one of these days. Love your textures!!! I think all three are great but I really like the grunge on the second photo. 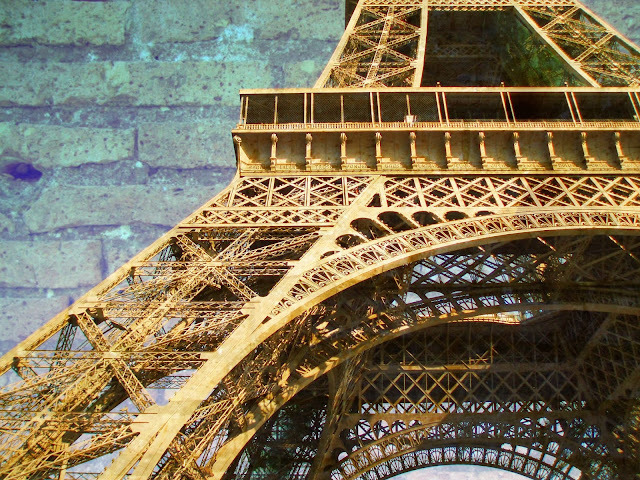 And the third one- closer view of la Tour Eiffel- what a great photo- texture added or not. Love it! I absolutely love the texture technique! Well done, Lorrie, well done!! 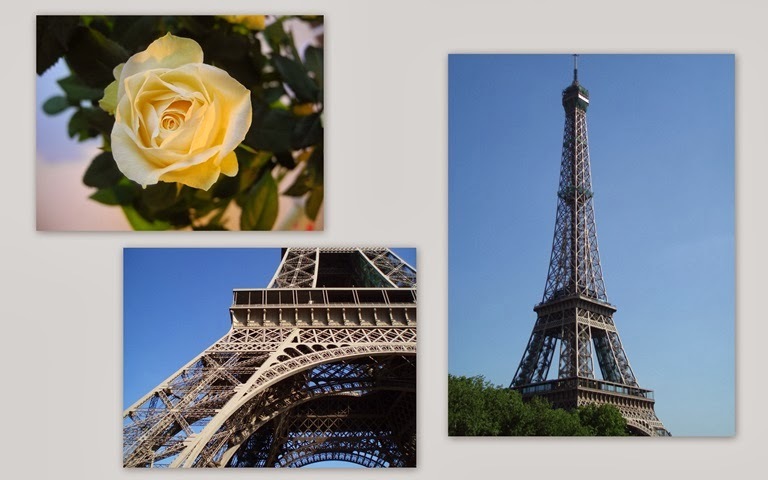 Love particularly the last image, detail of the Eiffel tower! P.S. Thank you so much for still visiting and reading my little blog, and merci beaucoup for your last comment in French, Marie Claude was delighted!